Strike avoided after new agreement provides raise for workers. 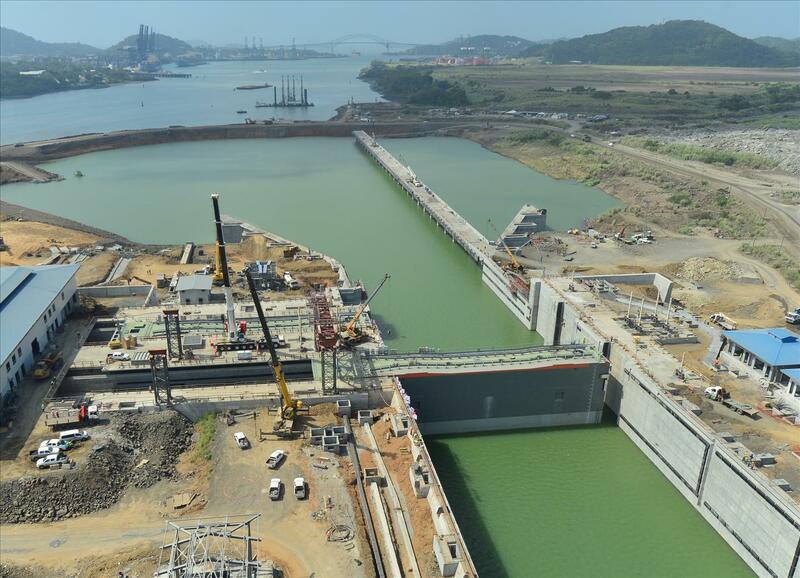 The Panama Canal Authority (ACP) learned Aug. 9 that National Union of Workers of Construction and Similar Industries (SUNTRACS) issued a strike notice to Grupo Unidos por el Canal (GUPC), the main contractor for the Canal’s third set of locks project, which is currently 93% complete. Workers claimed a contract with the Panamanian Construction Association stipulated they were due a raise on July 1. The ACP encouraged both sides to reach an agreement on matters, saying that it was deeply concerned about the situation and that business would be impacted directly if work was not carried out efficiently. Panam Canal expansion is 93% complete and expected to be complete April 2016. On Aug. 12, GUPC and SUNTRACS announced they had reached an agreement which supersedes the strike call in the new locks’ construction site in both the Atlantic and the Pacific sides. The agreement consisted of an hourly wage increase of $4.81 to for qualified construction workers and a 5% for other categories. The raise was backdated for July 1. Prior to the agreement, workers earned between $2.90 and $3.37 per hour, depending on their qualifications. “The ACP expects this agreement marks the continuation of a harmonious relationship between both parties, and thus the completion of the work as it is scheduled, which has now reached 93% completion,” the authority said. The project is expected to open April 2016.